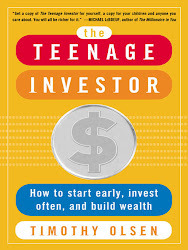 Today's blog post is going to be a quick break from the behavioral finance for Gen Y features I've been posting. The Wall Street Journal reports today that as a result of new credit card rules that took effect Sunday, banks are now limited in how much they can charge customers in penalty fees. This has led to a rise in interest rates on cards and in Q2, the average interest rate rose to 14.7%, up from 13.1% in 2008. This can be interpreted as sobering news for Gen Y since many of us rely on credit cards to help bridge our month to month financial needs. Credit cards are a great way to build good credit but only if managed effectively. For example, only charge something to your credit card when you know you have the cash to pay off the bill when you get it. This way, you won't be forced to scramble for cash and you'll be sure to build an excellent credit rating while remaining disciplined in the process. So while the new rules that are now in effect will certainly raise borrowing costs for many people, if you remain a disciplined Gen Y saver and spender who only uses a credit card to buy something when you have the cash to pay off the bill, you won't have to worry about any interest charges.